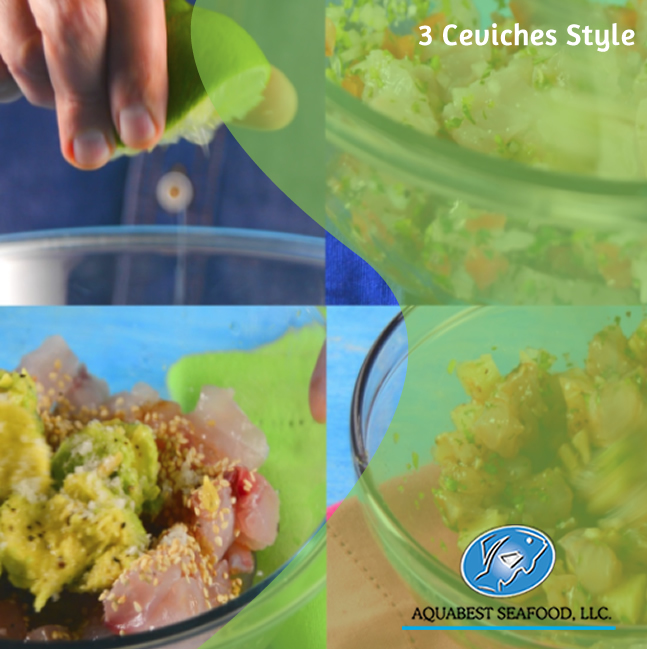 Ceviche (pronounced “seh-VEE-chay”) is a Latin American recipe for raw fish and seafood marinated in citrus juice, mainly lime and lemon juice. The acid in the citrus juice denatures the proteins in the fish, causing it to become opaque and producing a firm texture. What does “denature” mean? Proteins are made up of long chains of amino acids, and when exposed to acid, these chains break apart and arrange themselves into different configurations. A more common way of denaturing proteins is by exposing them to heat (i.e. “cooking” them). So with ceviche, the fish is effectively “cooked” even though there’s no heat involved.